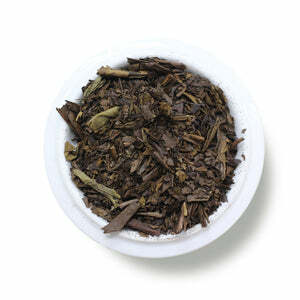 Houjini has long been a favorite of ours, somehow this green tea defies all logic, with it's toasty rich notes. You'll notice right away, this doesn't look like a typical Green tea. 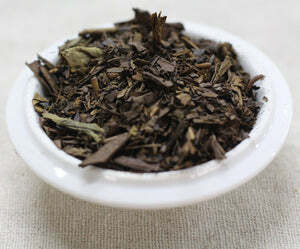 Traditionally known as Houjicha, this tea is made from the tea leaves just under the top leaves of the tea plant, closer to the stalk (also known as bancha). Houjicha goes through the same Japanese process of first steaming the leaves after picking (this stops oxidation), however the extra step of roasting is what makes this tea so special! The leaves are roasted at high heat after being rolled and dried, imparting a smoky and toasty flavor on the leaves, and also lowering the caffeine content. We think you'll love this for it's toasty, warming and nutty notes! Experiment with steeping this tea for less than 2 min, and more infusions if you enjoy a lighter cup. Mug (8oz water): 2 level tsp • 175º • Steep for 3 min. Teapot: (8oz water): 2.5 level tsp • 175º • Steep for 2 min. A very light-brewing tea with woody/planty notes. Nice, but I prefer a stronger brew.